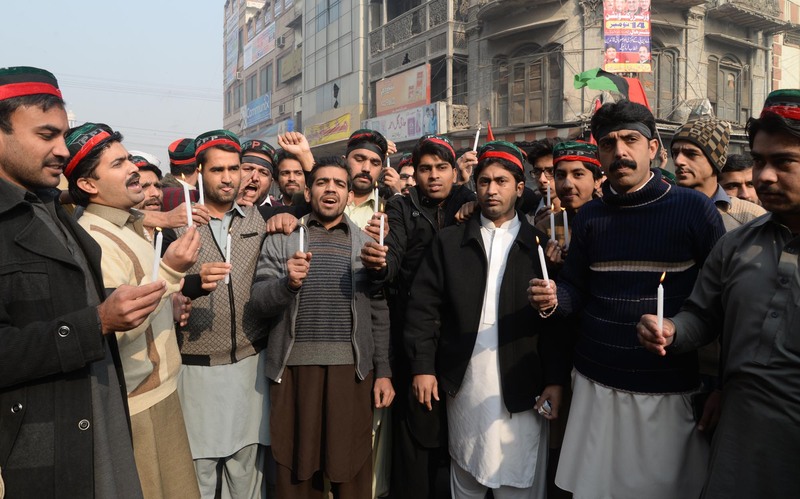 PESHAWAR, Pakistan, Dec 21 2014 (IPS) - As Pakistan lifts its moratorium on executions in response to this week’s attack on a school in Peshawar, human rights groups say that resuming the death penalty will not combat terrorism in Pakistan. Prime Minister Nawaz Sharif announced that Pakistan had reinstated the death penalty the day after an attack on the Army Public School and College here that killed 150 people – mostly children – on Dec. 16. A resolution unanimously adopted by an All Parties Conference in Peshawar on Dec. 17 said that with Pakistan facing increasing terrorism, it cannot afford to show any mercy to those involved in acts of militancy and killing of innocent people. “I announce the lifting of the moratorium on the death penalty today … The nation is fully behind us,” Prime Minister Nawaz Sharif told the conference categorically. 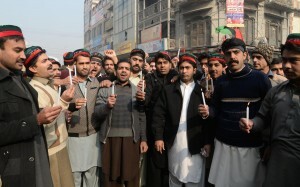 Since then, four people have been hanged in Punjab province for their involvement in attacks on former President General Pervez Musharraf in December 2003 and the Pakistan Army’s General Headquarters in October 2009, but Amnesty International says that the resumption of executions after they were stopped in 2008 will not break the vicious cycle of terrorism. “This is a cynical reaction from the government. It masks a failure to deal with the core issue highlighted by the Peshawar attack, namely the lack of effective protection for civilians in north-west Pakistan,“ Amnesty International’s Deputy Director for Asia-Pacific David Griffiths said in a statement. The death penalty violates the right to life and we are deeply concerned at the multiple violations of international law the authorities are about to commit by going ahead with their execution plan, he added. Amnesty International also says that many death sentences are handed down in Pakistan after trials that do not meet international fair trial standards. The government, which is under tremendous pressure to deal with terrorism, claims that it had no choice but to reinstate executions, and religious groups and political parties have welcomed the hanging of terrorists, saying that it is fulfilment of the country’s law. Former president Gen. Pervez Musharraf said that the hanging of two terrorists on Dec. 19 was a victory for the law. “The government has finally done justice with the terrorists,” he told IPS, adding that all Taliban militants should be given same punishment because they deserve to be brought to justice. “The hanging of terrorists has fulfilled the requirement of the law of the land,” said Musharraf. Sunni Chief Tehreek Sarwat Ijaz Qadri welcomed the hanging of terrorists and said that ultimately law had taken its course and this would go a long way towards establishing peace in the country. “It is a first step towards peace and the people have taken a sigh of relief,” he told IPS. 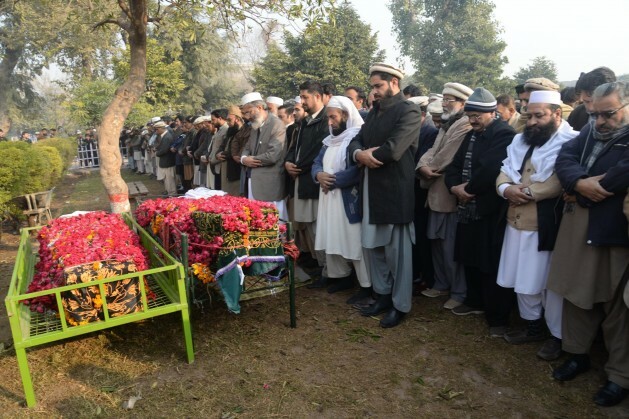 Jamaat-i-Islami Secretary-General Liaquat Baloch said murderers, terrorists and enemies of humanity do not deserve any concession and the law of the land calls for the execution of their death sentence after completion of trial and other legal formalities. Implementation of the death sentence will create a sense of respect and sanctity of law in society, he added. Mian Iftikhar Husain, leader of the Awami National Party (ANP) also welcomed the hanging of terrorists and termed it a victory of the people. “The government should hang all terrorists without a distinction of bad and good Taliban,” he said, adding that the ANP believes in non-violence and is staunchly opposed to terrorism. Muttahida Quami Movement (MQM) leader Farooq Sattar said that terrorists deserve no mercy because they are killers of humanity. “The people welcome their hanging as these terrorists are responsible for creating lawlessness,” he said, pointing out that the MQM has always been at the forefront in condemning terrorists and will support any move aimed at eliminating terrorism. Pakistan has 8000 condemned prisoners who have been awaiting the death penalty since 2008. Seventeen of them, mostly terrorists, will be executed in the next seven days. Three convicted terrorists from the extremist group Lashkar-i-Jhangvi (LeJ) were handed down death sentences in 2004 and the executions were scheduled for Aug. 20, 21 and 22, 2013, but were deferred at the last moment. Attaullah Khan was given the death sentence in six cases by an anti-terrorism court in Karachi on Jul. 6, 2004, while Mohammad Azam received the death sentence in four cases from the same court on Aug. 21. Another militant, Jalal Shah, was given the death sentence for related offences. However, the executions were not carried out due to fear of the Taliban who had warned the government that there would be severe repercussions if it went ahead with execution of its men. Amnesty, I hope some body from your family killed and you better give amnesty to them.